The new diesel car market is on track for one of its worst years with industry figures suggesting that demand will be down by a third by the end of 2018. Data from the Society of Motor Manufacturers and Traders (SMMT) show that diesel car sales are down by almost 30 per cent, with falling consumer confidence and supply constraints - caused by the introduction of the new WLTP fuel economy test - being blamed for the collapse in demand. The UK new car market is down by almost seven per cent overall - 165,000 cars - compared to the same 11 month period in 2017, with some 2.2 million new vehicles being registered. However, while sales of petrol, hybrid and plug-in electric cars have increased over the course of the year they haven’t provided the volume required to fill the 300,000 gap in registrations left by diesel. The change in buying habits has prompted some carmakers to change their model line-ups, with Toyota and Volvo indicating that their future models will no longer be offered with diesel-power. 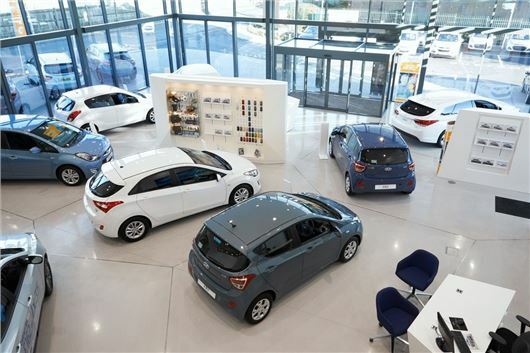 The turbulent market is good news for car buyers, however, with showrooms pre-registering thousands of cars and cutting prices to tempt consumers back. A pre-reg car is traditionally a vehicle that’s been registered by a dealer with the DVLA and assigned a registration number. However, while pre-reg cars cannot be listed as new, they will have usually covered fewer than 100-miles. The BMW 320d Sport saloon has a recommended starting price of £33,000, but Honest John.co.uk has found delivery mileage models available from £22,530 while Touring estates can be found from £24,300. There are also big savings available on the Peugeot 2008 crossover diesel with cars starting from £16,000, which is significantly less than the car’s brochure start price of £19,500. Buyers can save over £5000 on as-new Renault Megane diesels in high-spec Dynamique trim, or pick-up delivery mileage Volkswagen Golfs in SE Nav trim with 1.6 TDI power from £17,299 – a saving of over £5200. If car sales are down, maybe prices are too high. agreed, costs are just creeping up on all brands, and some of them are not worth the money/value. Intrigued what impact this will have on used diesel car prices e.g. Euro 6 ?